An Opinion On Sports: Happy Thanksgiving, 2010 Version! I'm thankful for the American Veteran, who cared enough to risk all. I'm thankful for lemon pepper wings cooked on my own grill. I'm thanful for a wife who still considers me her "Boyfriend". I'm thankful that there's a new book out about my all-time favorite Mickey Mantle! I'm thankful for Pat Conroy, who can paint a masterpiece with words. I'm thankful that Vanderbilt is always on Georgia's gridiron schedule. I'm thankful when Bobby Goodson and the 'Swamp Loggers' have a good day! I'm thankful for 'Talking Tom'; that cat, with help from my son, is one funny dude! I'm thankful that even in a season like this, it's still great to be a Georgia Bulldog! Thanks again for reading An Opinion On Sports. 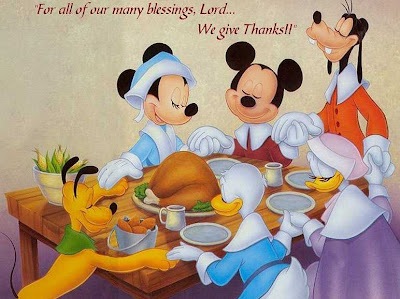 Have a great Thanksgiving! Alabama 63 - Georgia State 7: Why? Georgia - Auburn: Still A "Friendly" Rivalry? Jon Miller & Joe Morgan: You're Out!